The final round of online applications for two of IIEP-UNESCO’s flagship training programmes will close soon on 22 June 2018. Interested applicants for the 2018-2019 programme are urged to submit their applications as soon as possible. Applications are currently being accepted for the one-year Advanced Training Programme (ATP) and the six-month Education Sector Planning (ESP) course. The ATP programme includes the ESP as well as other specialized courses and a final professional project. Participants also have the option to pursue a modularized approach where course segments are taken individually in a more personalized, flexible way. Both programmes include a three-month online session at the start of the programme. The remainder of both programmes take place at the IIEP-UNESCO headquarters in Paris, France. IIEP’s training programmes are designed to strengthen skills and competencies in education policy analysis, sector diagnosis, plan formulation and implementation, and monitoring and evaluation, while also developing strategic management and leadership skills. Course content responds directly to the changing needs of education systems, as reflected in the global Education 2030 agenda. Intensive and practice-orientated, the one-year ATP course develops the professional expertise and leadership skills of civil servants and other education actors. It prepares them for careers in the highest ranks of educational administration. IIEP graduates are expected to contribute to the enhancement of educational planning in their countries. Successful course completion leads to the equivalent of a professional Master’s degree. Beginning in September 2018, the ATP includes three months online in the participant’s home country, a six-month residential phase in Paris, France at IIEP’s headquarters, and a final professional project completed in the participant’s country. The ESP course provides participants with the fundamentals of educational planning. Offered as a shorter, stand-alone course, the ESP combines 12 weeks of online learning with a 13-week residential training phase at IIEP in Paris. The programme covers the essentials of planning, from education sector diagnosis to the preparation and monitoring of the implementation of an education sector plan. Training participants have the option to pursue various formats, combining both the ESP and ATP. For example, it is not necessary to complete the ATP in one year. Trainees who complete the six-month ESP course are also welcome to continue the full ATP programme at a later point, leading to the full ATP certificate. This modularized approach can better suit those applicants who are unable to commit right away to a longer stay in Paris, or cannot find full initial funding for the ATP. For more information, please contact tep@iiep.unesco.org. 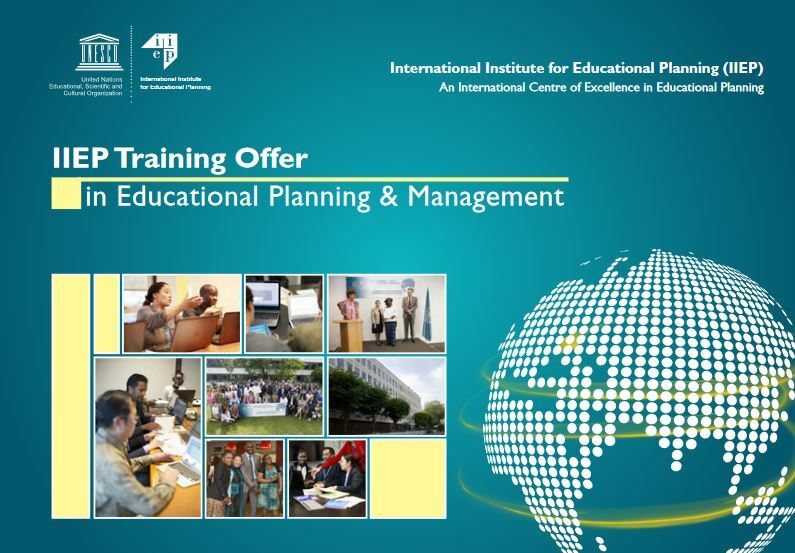 IIEP’s mandate is to train motivated professionals working in educational planning and management who have the ability to make a difference in their countryies' education systems. Previous participants have come from ministries of education, finance and planning, public service agencies, and national research and training institutions. We also invite you to pass on this message to education planners or managers who could benefit from IIEP’s unique training programme.